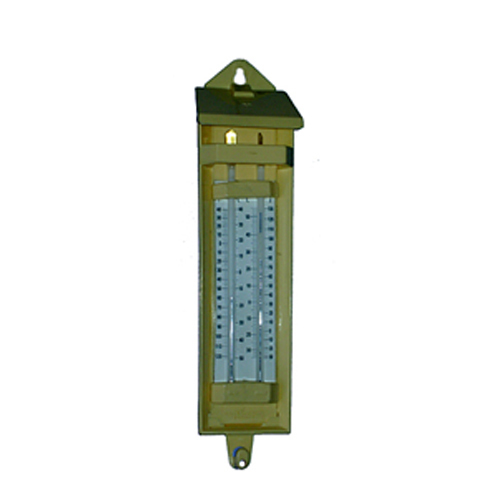 300 mm long size with a protective plastic or cardboard case. 40~50° C or -40~120° F We can develop according to customer's needs and requirements also. 0~50° C and -40~120° F We can develop according to customer's needs and requirements also. 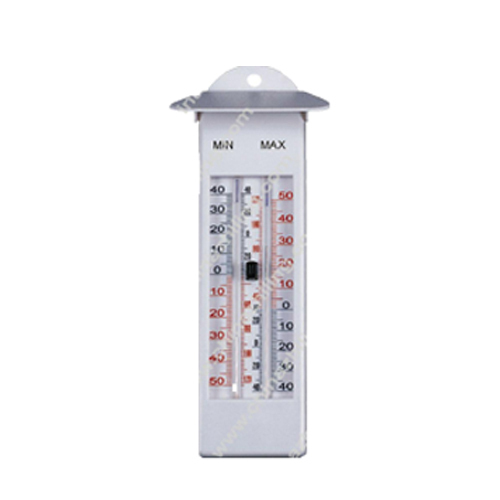 These Maximum and Minimum Thermometer records minimum & maximum temperature reading with special indices from last setting point and are available with specially designed mounted seasoned plastic base & boxed. 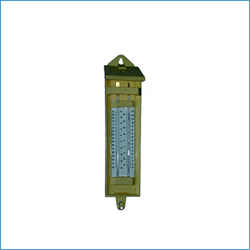 These Maximum and Minimum Thermometer records minimum & maximum temperature reading with special indices from last setting point and are available with specially designed mounted seasoned plastic base & boxed. 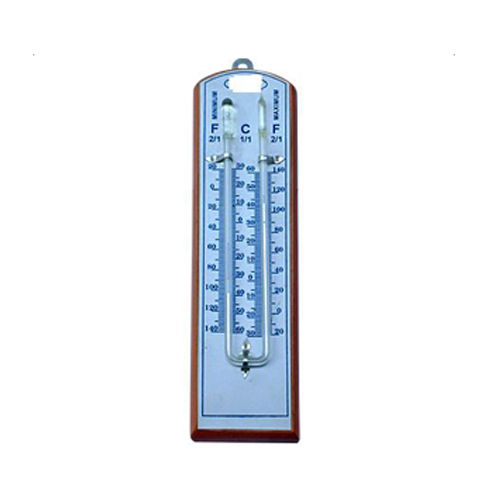 The company is counted amongst the renowned manufacturers and exporters of highly durable Maximum and Minimum Thermometer. 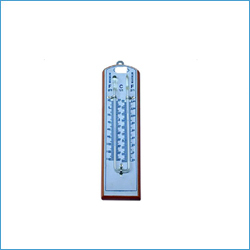 We offer you an exclusive range of thermometers at very reasonable prices. These are precisely fabricated by our skilled technocrats using top quality material. We have got a lot of appreciation for our high quality products and its perfect finish. 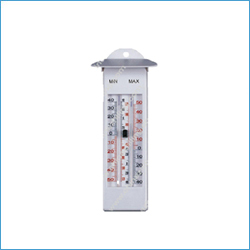 We have an expert Maximum and Minimum Thermometer manufacturing company who offer you its assortment of products which provides accurate results. Min 50-40° C and -120-40° F We can develop according to customer's needs and requirements also.